NATSAP Shines the Spotlight on Mountain Valley Treatment Center! Mountain Valley Treatment Center, located in beautiful Pike, NH, offers an evidence-based, holistic approach to treating 13-20 year olds with anxiety and related disorders. We are an intensive short-term residential setting that provides highly clinical treatment, focusing specifically on exposure therapy, in a supportive, co-educational setting that feels far from clinical. With lengths of stay ranging generally between 60 to 90 days, our residents receive comprehensive care from well-trained and dedicated professionals. The psycho-educational component of the work allows each teen to learn about anxiety and its treatment in a way that imparts critical information and cultivates motivation to change. The program provides individual and group-based Cognitive-Behavioral Therapy (CBT) with an emphasis on Exposure and Response Prevention (ERP) for residents suffering from social anxiety, specific phobias, panic attacks, separation anxiety, school refusal, selective mutism, and obsessive and compulsive disorder (OCD.) Stress reduction and mindfulness play a key role in individual and group therapy. The supportive milieu is built around opportunities to participate in wellness modules, which are designed to challenge each resident to face risk, develop mastery, and build confidence. Family involvement is crucial to our program model, and weekly sessions can be conducted face to face on-site, by conference call, or through Skype. The program is designed to assist families to understand anxiety, communicate with greater effectiveness and participate in relapse prevention. Recognizing that medication management and psychiatry can play an important role in the treatment of anxiety, we partner with Hanover Psychiatry, a program of Dartmouth College’s Geisel School of Medicine, to offer psychiatric services as well as comprehensive psychological assessment. We are pleased to announce the Summer 2015 issue of the Youth Advocate. This issue contains information about the latest introduction of the Stop Child Abuse in Residential Programs bill, NATSAP’s participation in coalitions with various other like-minded organizations, a write up of NATSAP’s most recent Hill Day, and the latest NATSAP webinar on the Interstate Compact on the Placement of Children. Shepherd’s Hill Academy, founded in 1994, is located on 157 beautiful acres just 85 miles north of Atlanta, GA. SHA is a faith-based wilderness-style, fully accredited boarding school and therapeutic program for troubled boys and girls, ages 12-17. Behavioral issues and disorders include, ADD, ADHD, ODD, Bi-Polar, Asperger’s Syndrome, RAD, and others. SHA offers students a loving, disciplined, structured and peaceful academic environment conducive for learning. Our unique therapeutic approach combines a first-class school, outdoor adventure, equine therapy and an unplugged gender-specific environment that gives students an optimum opportunity to heal and flourish. Northwest College Support is expanding! Northwest College Support is excited to announce the Opening of “The Orchard.” The Orchard is a 24 bedroom therapeutic college living apartment building conveniently located in downtown Coeur d’Alene, ID. The Orchard is just a few blocks away from Northwest College Support’s offices and student study center as well as a few blocks from North Idaho College and other collegiate options. There is availability now for Fall semester! The Nashotah program at Rogers Memorial Hospital is an intensive dialectical behavioral therapy immersion program designed for adolescent girls, age 13 to 17, who have intense, often painful emotions, and find it difficult to manage interpersonal relationships. This short-term residential treatment program seeks to build a highly validating environment where adolescent girls can become open to exploring change and learning new skills to better manage intense emotions and mood changes, while developing a healthier self-esteem and improving their relationships with family and peers. The program takes its name from Native American origins; Nashotah is a female name meaning “twin.” Similar to the duality of twins, dialectical behavior therapy (DBT) emphasizes the ability to accept two thoughts seemingly in conflict, at the same time, with the same value. With Rogers’ patient- and family-centered service model as a guide, the Nashotah program’s treatment team takes pride in establishing and maintaining meaningful communication channels with each resident and her family. Treatment team members work closely together, using a strengths-based, DBT-informed approach and principles of cognitive behavioral therapy (CBT) to hold each resident accountable for making real change in her life while helping to build her acceptance of herself and others. This accountability extends to the program’s treatment team; a weekly DBT consultation team meeting helps all team members maintain a non-judgmental and compassionate stance with residents. In addition to 30 hours per week of therapy, academic work is incorporated into the overall treatment experience. With parent approval, staff will coordinate with the resident’s school of origin to determine what academic work can be completed for credit while in treatment. The Nashotah program also uses a unique phased system for residents to track their treatment progress and to reinforce the use of their new DBT skills and CBT strategies in a variety of situations. The FOCUS program at Rogers Memorial Hospital is designed for young adults, ages 18 to 30, who struggle making the transition to adulthood due to depression, bipolar disorder or another mood disorder. Built on Rogers’ strong track record with cognitive behavioral therapy (CBT), the treatment approach used at FOCUS emphasizes behavioral activation (BA) strategies complemented by dialectical behavior therapy (DBT) informed treatment. This short-term residential treatment program has two goals. The first goal is to provide diagnostic clarity as to what is derailing their efforts at school or work, disrupting their relationships, and keeping them from getting on with their lives. The second goal of FOCUS is to help these young adults develop the skills they need to get back on track to living a more productive and satisfying life. FOCUS is led by a board-certified psychiatrist and a licensed clinical psychologist who bring extensive experience in depression treatment and research to the overall design of the program. Woven into the treatment experience are a range of evidence-based individual, group and family therapies which are designed to gradually decrease patients’ natural tendency toward isolation and increase their engagement in activities so mood improves. In addition to therapy, education on basic life skills, such as balancing a checkbook, are also provided. While evidence-based therapy is the crux of FOCUS, patients work on getting into a daily routine by participating in a fully structured schedule that incorporates purposeful activities starting when they get up in the morning until bedtime. The daily schedule provides routine activities to help regulate their sleep and wake cycles, offering balanced meals and providing opportunities to increase their engagement in physical and social activities. Guided by treatment team members, patients work individually and collaboratively to develop the necessary skills, resources and confidence to successfully carry out behavioral changes. Telos Residential Treatment is pleased to announce the groundbreaking ceremony for Telos U., a new residential facility for young adults and community resource center for people with Autism Spectrum Disorder and other neurological, developmental, learning, and mental health challenges. Telos U’s residential program will provide cutting-edge clinical, educational, vocational, and supportive services for college age young men with Autism Spectrum Disorder, learning disabilities, depression, anxiety, ADHD, and electronics addictions, or who are generally experiencing difficulty transitioning into adulthood. A multi-disciplinary team will help these young men transition into adult roles and successfully navigate through college, if it’s a good fit for them, or through various other professional training opportunities, all while helping them grow in their ability to function emotionally, socially, and occupationally. Our goal is to maximize the personal fulfillment and functionality of those we serve while minimizing the amount of external supports they will need for long term well-being and functioning. Telos U will also offer outpatient clinical services for individual and families struggling with similar issues. 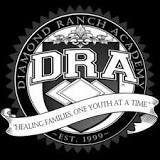 NATSAP Shines the Spotlight on Diamond Ranch Academy! What kind of students attend Diamond Ranch Academy? Our model was designed to treat students with behavioral and substance abuse challenges. We work well with students presenting with mild to moderate psychiatric needs. I heard you have a skate board park on campus? Yup…and it rocks. Our goal is to normalize the treatment process for our students. We have built all of the amenities on our campus to reflect this model of treatment. If you work with behavioral kids do you use punitive measures to establish compliance? Nope. It doesn’t work. Our sophisticated token economy was designed to give students real-time feedback regarding their behavior. Real change comes from students seeing themselves in a positive future. Our therapeutic approach makes this possible. How much actual therapy is there? We have 10 licensed therapists on Campus. All are full time, salaried employees trained in working with adolescents. Students have access to as much individual, group and family therapy as needed. Parents, consultant, therapist and student select a therapy track together. Why do you guys always come to NATSAP dressed in the same shirts? Do you only accept athletes? No. Although we have world-class athletic facilities, most of our students are not athletes. In fact, our drama department earned our first state high school championship. Some would argue our art and drama departments are better than our athletics. Sorry coaches!